Today the nation was shocked by a story of body parts being sent to political offices. 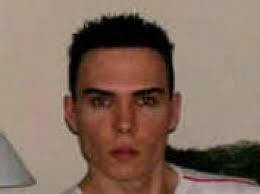 There is now a nationwide warrant out for Luka Rocco Magnotta. As day turns to eve, further developments paint a picture of what appears to be a clearly deranged man. According to many news outlets, Magnotta filmed himself torturing and killing kittens, and then uploading the videos to YouTube. One must wonder. If authorities used due diligence at the time the accused posted these videos, is there a possibility today's events might never have happened? The short answer is no. Why? Because we all know that if the accused had been investigated, questioned, and even found guilty, there is no way he would have seen the inside of a cell. Most likely, he would have been punished with a minimal fine and a few years of being banned from owning animals. My guess? YouTube staff were contacted and they then notified local authorities, who in turn did nothing. When are authorities ever going to take violent acts against animals as serious offenses? I am not speaking on emotions brought about from today's events.. Dahmer. Berkowitz. Bundy. And now, Magnotta. The most oblivious quote I have read in regards to this case? That would be Montreal Police spokesperson Ian Lafreniere stating, "We don't conduct our investigations via social media." Perhaps they should start, seeing as apparently Magnotta's violent personality was available for all to see well before he went to the post office. Of course the human story here is much more sensational and I'm not saying it shouldn't be, but just think how fewer in numbers sociopaths like Luka Magnotta would be if they were PROPERLY punished after committing such heinous precursor acts toward animals.